Planned Hours Field in Project Plan Template - ANALYSISTABS - Innovating Awesome Tools for Data Analysis! Planned Hours of a task are number of man-hours required to complete a task. These are Planned Hours and estimated before start working on the Task. 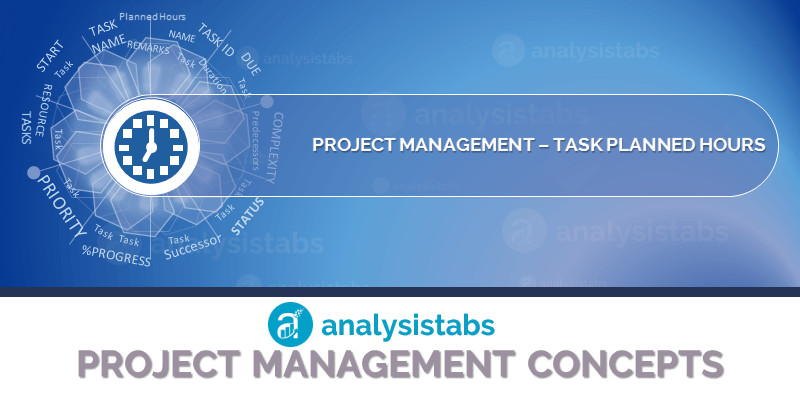 This helps the project manager to prepare a project estimate to communicate with client. Planned Hours field of a task is a required field and it is generally a numeric data type. A Textbox control is generally used to enter the Planned Hours of a task. These are the estimated hours of a task. Estimated Hours are dependent on task duration. Planned Hours can be increase or decrease while working on the task. This helps mangers to decide the available resource.